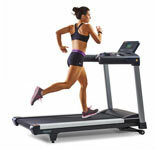 Best Rated Home Treadmills Under $3000 – This is a roundup of the best rated home treadmills under $3000 and above $2000 dollars in price for 2018-2019. Treadmills in this price range tend to be more stable (heavier), some are fixed (not foldable) which adds to stability, bigger running decks (important if you are taller), have higher quality components, and most have larger motors (over 3.0 hp) that can handle heavier weights and speed. Some have a user weight capacity of 400 lbs. Treadmills provide an excellent form of aerobic excercise at home that you can do no matter what the weather is outside. 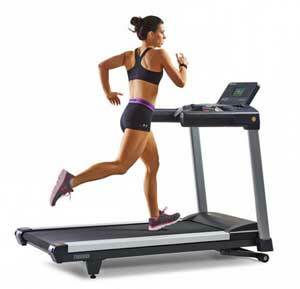 Treadmills are easier on sensitive joints like the knees and hips, as most treadmill running areas are padded. You can compare each treadmill below by features such as motor horsepower, maximum weight capacity, maximum speed, and more. A glossary of terms is available at the bottom of this page.